Whilst the number of cash machines (ATMs) in Estonia has steadily declined in recent years as alternative methods of payment become more popular, access to cash in rural areas of the country has paradoxically increased, according to a Bank of Estonia press release. 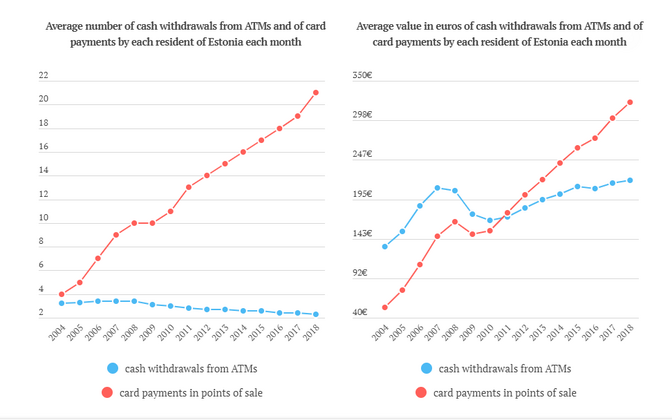 Whereas there were 751 ATMs in Estonia at the end of 2018, this is around 200 fewer than a year earlier earlier. However, cash could also be withdrawn at 350 Coop shops and 82 Olerex service stations, with Swedbank clients able to get cash from the tills in 24 other shops. Whilst these methods accounted for only 1% of total cash withdrawals, they substantially improved access to cash in rural areas of the country. 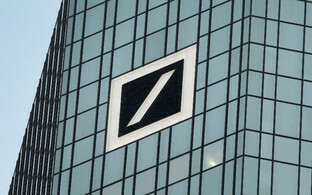 Additionally, 49 bank branches conduct cash transactions, it is reported. 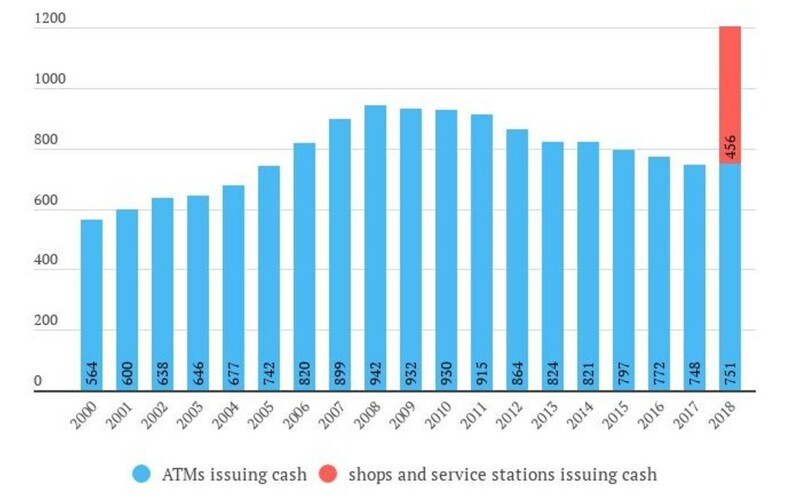 Cards were used to withdraw cash from ATMs on average of 2.3 times a month, with an average withdrawal of €220 per month, in 2018. Whilst frequency of withdrawals is declining, amount per withdrawal is increaseing, up to clos to €100 per withdrawal in 2018, from a little over €60 in 2011. The relative scarcity of ATMs is likely to be behind much of the increase, together with inflation. 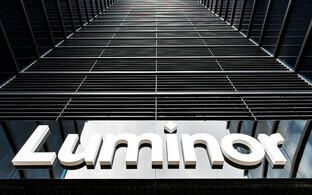 Card payment amounts have also increased, to €322 per month in 2018, as well as increasing in frequency, as has been the case across the EU, according to the European Central Bank (ECB). There also seems a Europe-wide negative correlation in amount of card payments versus ATM withdrawals, which again migth be expected. 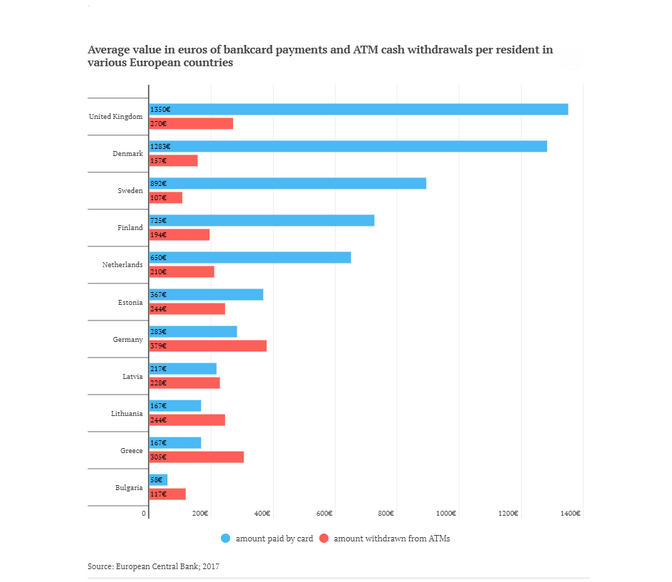 In other words countries with high rates of card payments have lower incidences of ATM withdrawals and vice versa (in Sweden and Denmark for instance, card payments outstrip cash withdrawals in value by about eight times). 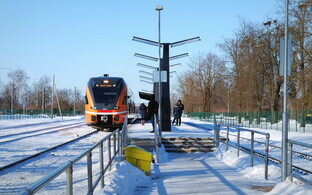 In Estonia the gap is much smaller, with around €1.50 spent by card for every €1 withdrawn. Nonetheless, as many as half the countries in the EU make larger values in withdrawal than in card payment, including Germany and Austria, as well as Lativa, Lithuania, Poland and Italy.